There’s probably no need to start a fight… I’m sure if someone had pointed the similarities out to Stevie Ray, he would’ve pled guilty right away. And his badass brother Jimmie has no problem connecting the dots from Lightnin’ to his own style of playing. 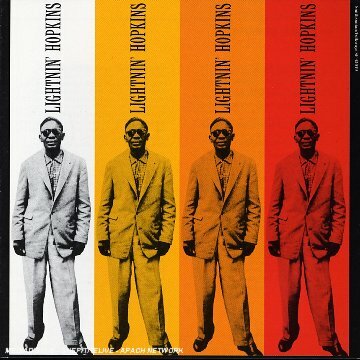 The fact is, any modern-day Texas blues guitarist worth arguing about owes a huge debt to Lightnin’ Hopkins and the red-hot tracks he laid down for Herald in ’54. Lightnin’ on video – from the 1967 documentary “The Blues According to Lightnin’ Hopkins,” by Les Blank. With Billy Bizor on harmonica (low volume on this one, so crank it up). Hey Tim! Great article! Absolutely LOVE Lightnin’! 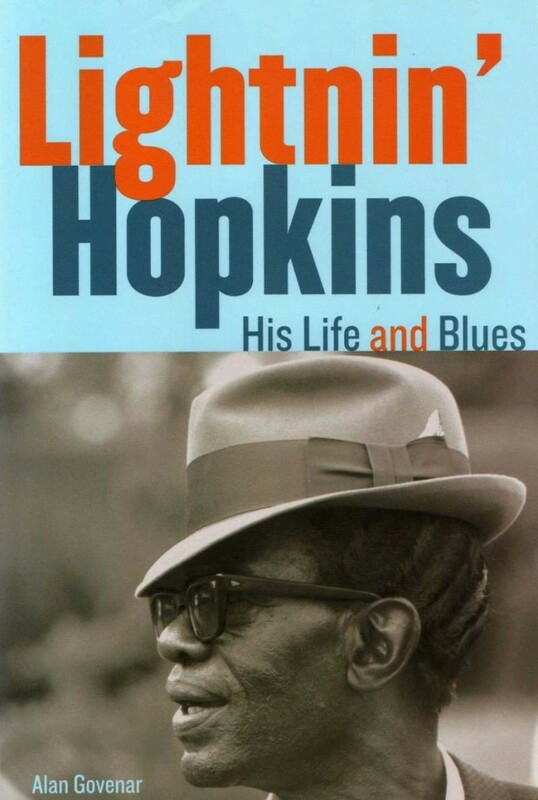 I actually gave Dan a personalized and autographed copy of “The Blues Accordin’ to Lightnin’ Hopkins” from Les and I peeped it before I gave it to him. You should ask him about it! It’s a great copy with all of this footage. Thanks, Jade… Yeah, Dan’s a big Lightnin’ fan. When he was learning how to play guitar I let him borrow some of my stuff. He especially likes “Texas Blues” on Arhoolie, with Francis Clay on drums. The Prestige/Bluesville recordings were a little too polished for his taste (but I love that tune I’m Taking a Devil of a Chance). Hey Tim. This post about Po’ Lightnin’ has made my day, I love the man. I seem to be the only 26 year old in London that’s heard of him…about 4 or 5 years ago I accidentally caught a BBC radio 2 show all about Lightnin’…i think presented by Paul Jones from Manfred Mann. 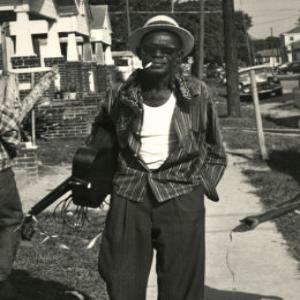 He played “shotgun” and “Tim Moore’s Farm” from the early stuff and “Penitentiary Blues” from the Sam Charter’s album. I was hooked from then on in and have a healthy selection of his records…I’ll have to check out Double Blues and Texas blues though as I’ve never seen them before. Thanks for a great article mate. Oh, and well done to Dan and Pat on Jools Holland the other night. Thanks, Nik… I’ll pass your regards along to the boys. I’m plowing through the Lightnin’ anthology on Rhino right now. 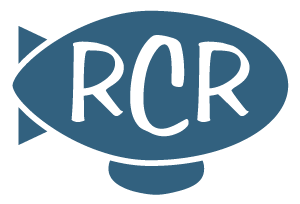 Some stuff I already have, but I came across a fantastic song I’d never heard: Black Cat Bone. Recorded around ’50 in Houston, released on Specialty. Dark, powerful, mesmerizing… Check it out. Performing a google search on Lightnin’ I stumble upon this enterprise. I first came across the Herald material on a well used mid-1960’s reissue on Mount Vernon (Nothin’ But The Blues MVM104) in a tiny south London jazz record shop. 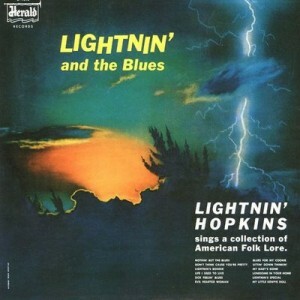 The sleeve writer states that “Lightnin’ is now an old and tired man” – he very wisely chose to remain anonymous. Wow… Lightnin’ had a good 26-year run after the Herald Sessions. Yeah, I’d remain anonymous too! I’m a bit of a Lighnin’ nut. I have everything he ever recorded, 90 percent of which is vinyl (LP/45) the remainder CD. However I did get the Lighnin’ bug as far back as 1962 so I’ve had plenty of years in which to amass it all! I’ve also been a Lightnin’ fan since the 60s. One thing I’ve been trying to identify for years is the blues with the lines (if my memory’s not too hazy) something like: “Been snowin’ up in New York City, some people can’t even get out their door” – Can anybody help me????? I suspect what you are thinking of is Heavy Snow recorded in 1961 for VJ. To be found on LP Lightning Strikes released in 1962. From memory the song centres on whether or not the snow will prevent Santa from getting down the chimney to deliver presents. I ve been a Lightnin fan since 1991 while I was stayin in Chicago, I almost gained all his song lyrics except Heavy Snow and the last two verses of Santa. Can anyone help?